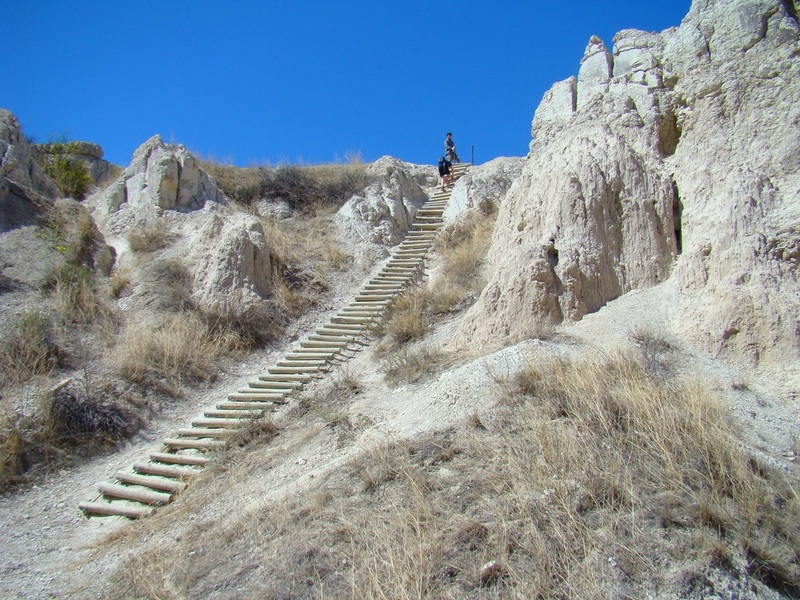 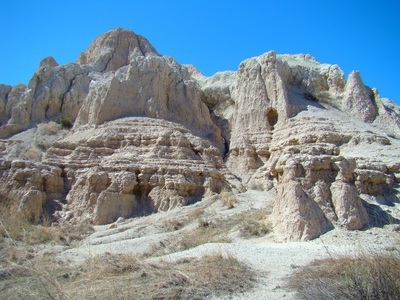 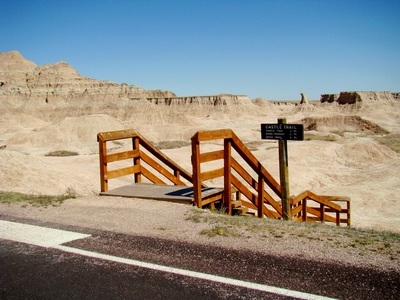 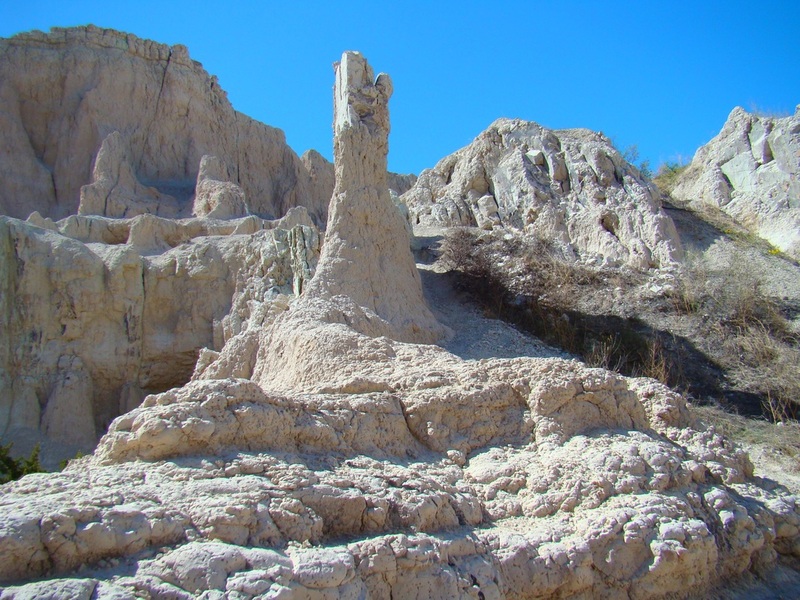 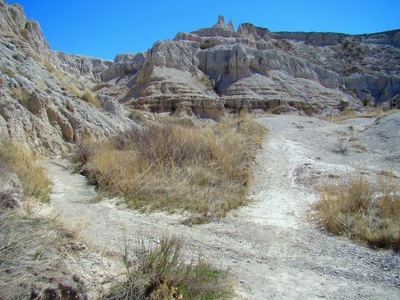 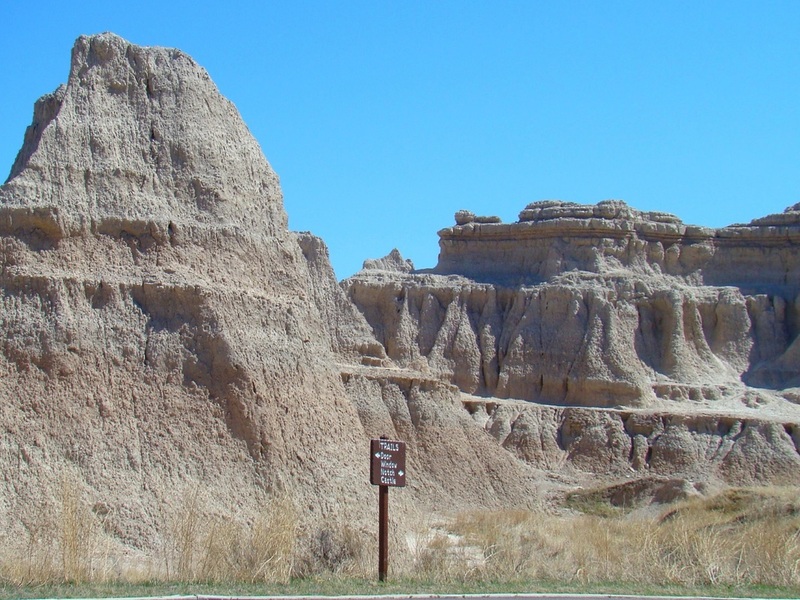 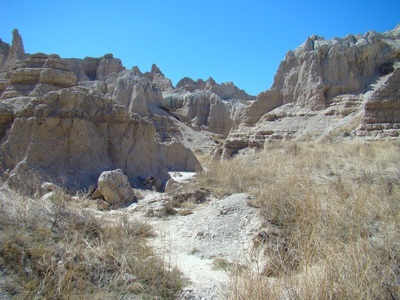 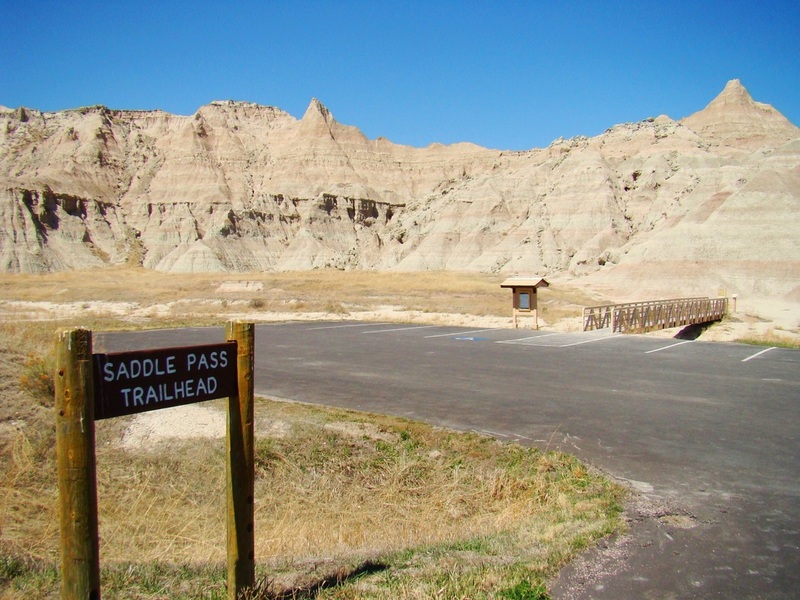 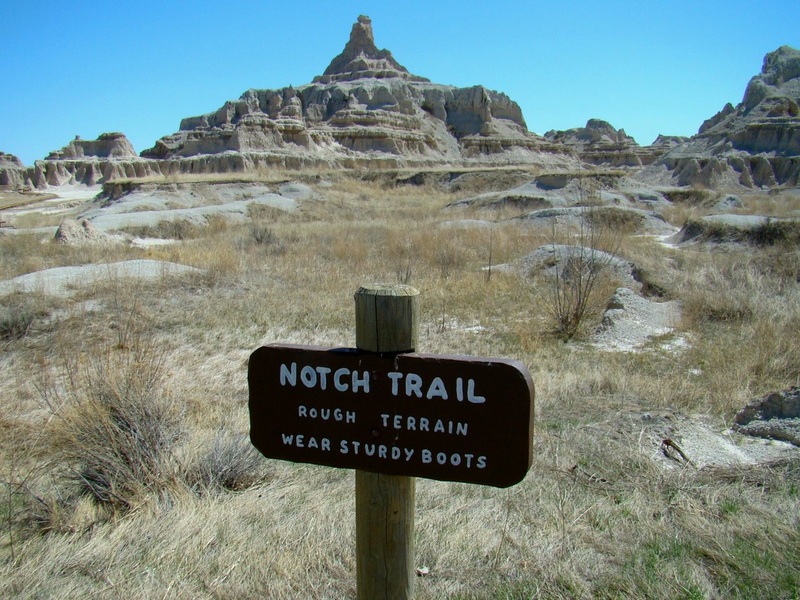 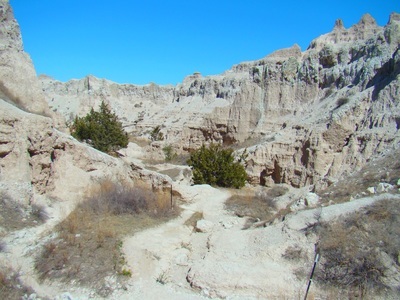 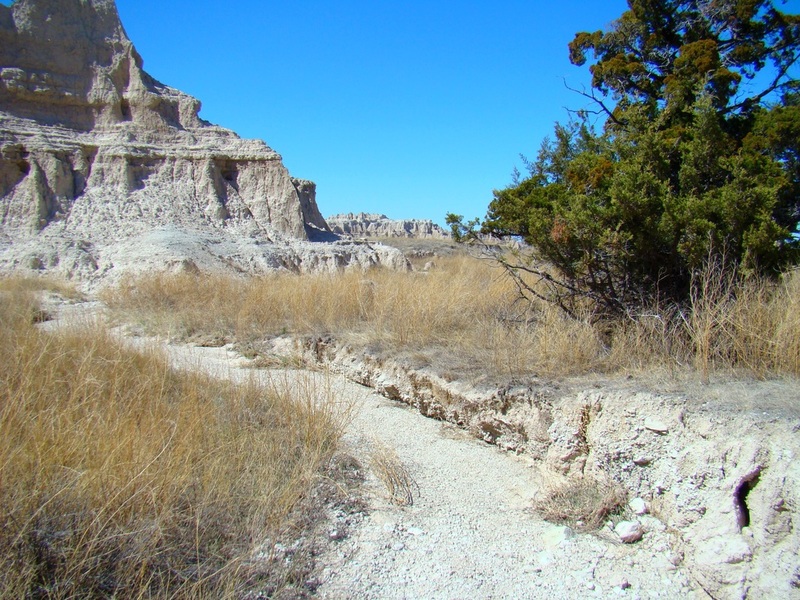 The Badlands offer a whole different hiking experience from what you will find in the nearby Black Hills. Visitors to the Badlands are amazed at the landscape of astonishing formations caused by centuries of erosion. 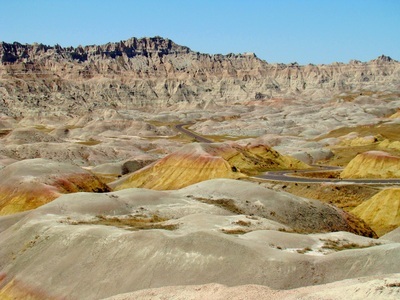 Subtle color variations of yellows, pinks, grays and tans in various strata add to the beauty of the formations. 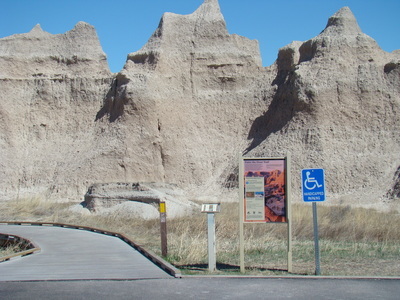 Badlands National Park has developed a series of trails through the area, allowing visitors to explore and see for themselves the fantastic landscapes and view the abundance of wildlife in the area. Much of the Notch Trail follows a normally-dry streambed. The Notch Trail gets rougher in places. 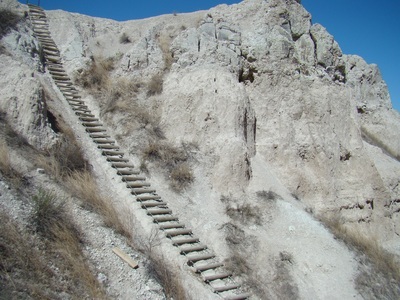 The ladder up the wall. 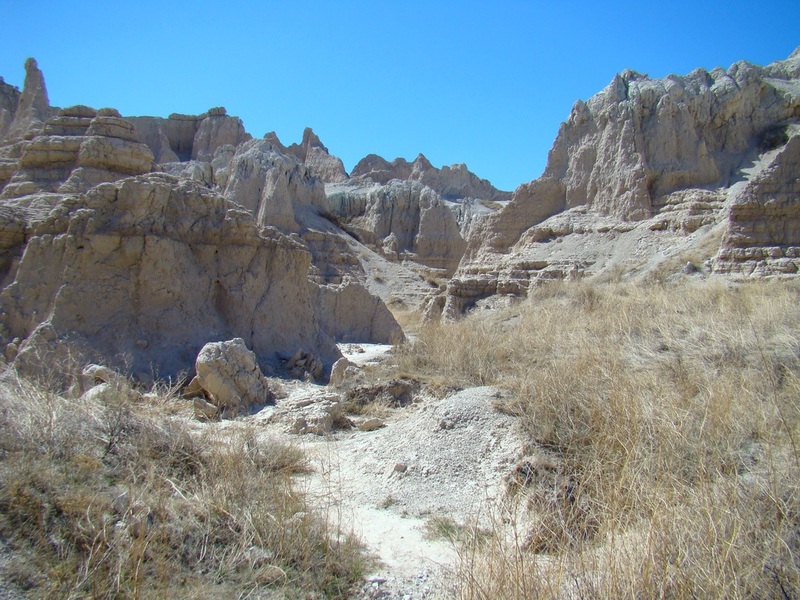 Hope says: Though I must always wear protection for my eyes, others may find this a necessity as well; for even on a cloudy day in the Badlands any and all light bounces off the white rock made of sediment and fossil deposits. 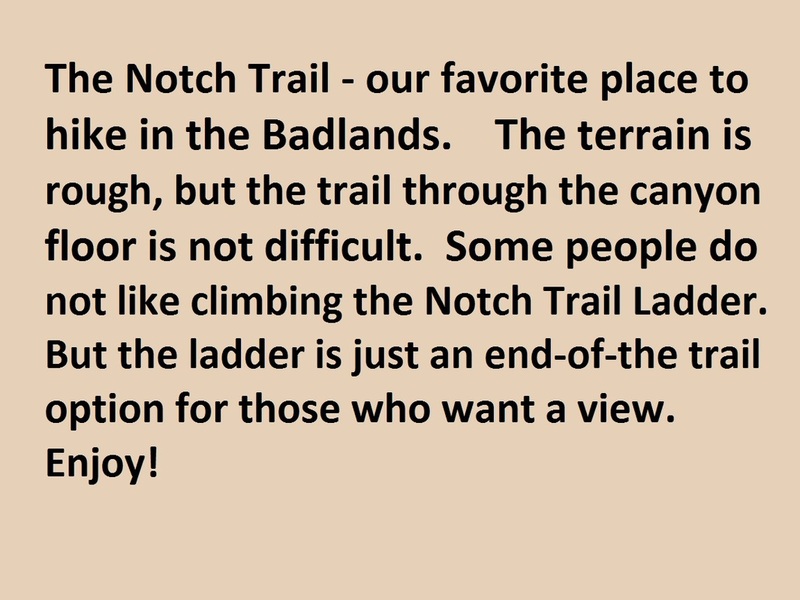 Needless to say, our stopping point was the beginning of the Notch Trail Ladder. 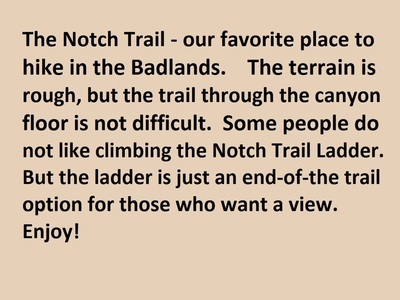 It was still a beautiful hike and for those with the ability, as well as the courage (and a partner), I say go for the gusto and enjoy!